FLINT TWP. 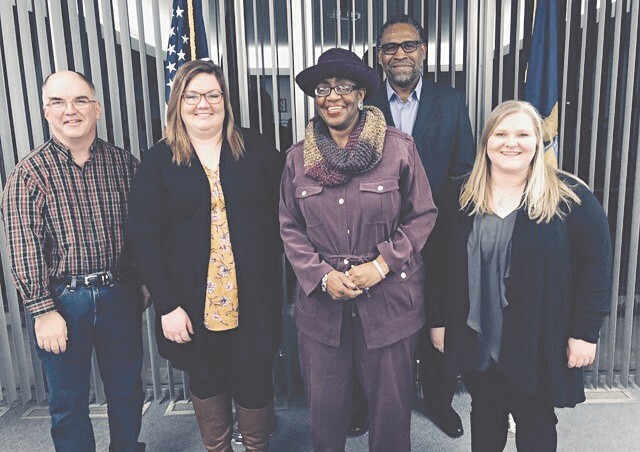 — The Carman-Ainsworth Board of Education’s first official act of business for the new year was the swearing in of Board Members. The Oath of Office was administered at the Jan. 8, Board of Education meeting to Gloria Nealy and Gary Cousins for sixyear terms ending Dec. 31, 2024; Crystal Dahl for a partial term ending Dec. 31, 2022; and Keri Crane for a partial term Dec. 31, 2020. 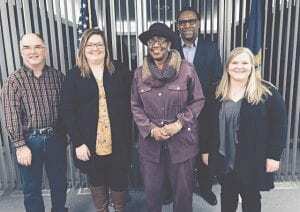 Board Members voted to re-elect James Johnson as president; Gary Cousins as vice president; Lisa Koegel as secretary; and Lonney Jarnigin as treasurer. Nealy, Dahl and Crane will serve as trustees. — G.G.